Over the weekend, I was coerced to attend the graduation ceremony of my son who is preparing for his high school examinations. I went there expecting loads of fun and food. There was no cause for disappointment as the kids had loads of fun and their parents lots of food, which they gobbled up even before their wards arrived backstage! However, amidst all this fun and frolic, there was some food for thought that came from the Chief Guest. Usually, one expects condescending words from the ‘worldly wise’ adults who attempt to prove their superiority by telling the kids the value of ‘their’ experience! Of course, it ain’t the kids’ fault that they were born later, is it? This one's for you children! Anyway, this speech proved to be different. The speaker, a ‘foreign-returned’ technocrat who turned entrepreneur listed out what he called the ‘Ten Commandments’ for living life. While ostensibly addressing the teens aged between 16 and 18, the speaker calibrated his words to suit the parents present in the congregation. 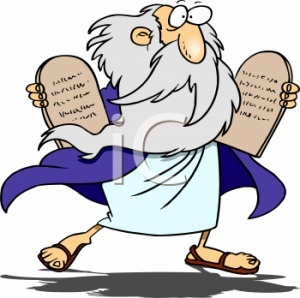 The Commandments were simple… (1) Network for growth (2) Share your knowledge (3) Learn to learn through life (4) Do the dance of diversity (5) Do not multitask, be attentive to detail (6) Strive to move out of your comfort zone (7) Give to charity (8) Do not act out your life (9) Work hard and play hard (10) Do not Adjust. Of the ten suggestions, the ones that struck a chord in me were numbers four, eight and nine. Given my penchant for sport, I always knew that playing hard on the field was the best preparation all those career related trials and tribulations that comes our way in life. Doing the dance of diversity is probably the most difficult to follow, because we have become slaves to the sense of mundane that life has become. All work and no play can make Jack a dull person all through life! Therefore, I’ve decided to quell my fears and take up swimming this summer. Well.. that was a tad too much for a School Grad ceremony. 🙂 Do the kids really assimilate that much these days? Believe me… this is one that the kids actually assimilated because all the stuff made sense.. Networking means facebook, sharing means twitter, etc. etc.